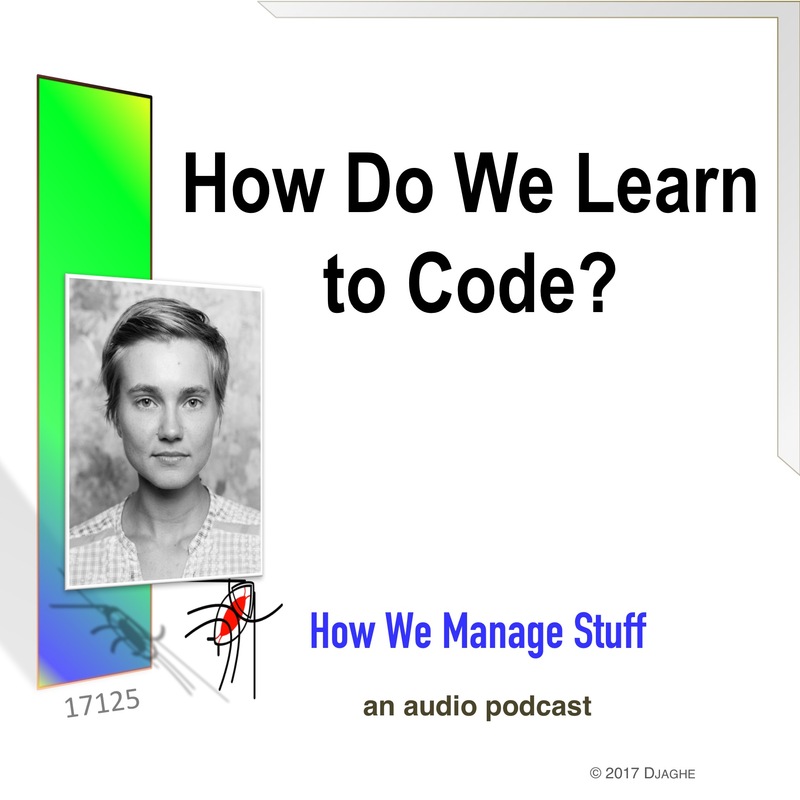 17125: How do we learn to code? We’re actually asking the bigger question. How do we learn anything? Do we learn form experts? From Teachers? From each other? There is a lot of evidence that we learn technical skills from each other, from peers who know little more than we do. Sure, there are classes and textbooks and formal lessons. However, the computer field has given us many examples that we learn the most from people who are learning just like us. The week we introduce Katerena Kuksenok, our in house expert on learning to code. Dr. Kuksenok is a graduate of the University of Washington in Seattle and is now employed by SAP in Berlin. Her work looks at the processes we use to teach ourselves to code.